Honda's first entry level diesel sedan, the Amaze, has officially been launched in the Indian auto market. The base petrol variant of this vehicle starts at an astonishing Rs. 4.99 lakh, making it one of the most affordable sedans in the country. Six petrol versions and four petrol diesel variants of this vehicle have been revealed at the official launch. While petrol variants are available in a price range of Rs. 4.99 lakh to Rs. 7.50 lakh, diesel versions are priced from Rs. 5.99 lakh to Rs. 7.60 lakh (all prices ex-showroom New Delhi). The base petrol version, at Rs. 4.99 lakh, is known as Amaze E. More expensive than the base E, the subsequent EX and S variants are priced at Rs. 5.24 lakh and Rs. 5.62 lakh, respectively. Among the manual versions, the top VX variant has been launched at Rs. 6.60 lakh. Two automatic variants, namely S and VX are available at respective prices of Rs. 6.62 lakh and Rs. 7.50 lakh. Among the diesel variants, the base E version is available at Rs. 5.99 lakh. Next in line is the EX version, at Rs. 6.24 lakh. Further, the subsequent EX and S variants can be purchased at Rs. 6.24 lakh and Rs. 6.67 lakh, respectively. 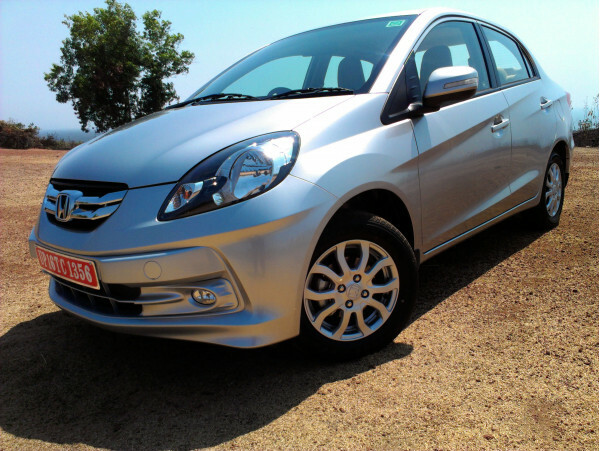 The Honda Amaze VX is the top end diesel trim and carries a price tag of Rs. 7.60 lakh. 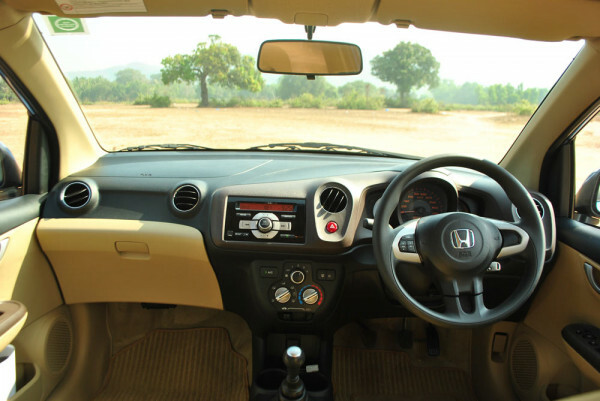 The Honda Amaze petrol variants are powered by the 1.2 litre i-VTEC engine which is also fitted in the Brio hatch. It develops a maximum power output of 87 bhp, while the 1.5 litre i-DTEC produces 99 bhp of power. Petrol variants are powered by manual transmission and automatic transmission. While the manual version generates a fuel efficiency of 18 kmpl, the automatic variant gives 15.5 kmpl, as per ARAI. As against these, the diesel Amaze gives a class-leading mileage of 25.8 kmpl. With these highly competitive prices Honda Amaze will offer stiff opposition to the segment leader, Maruti Suzuki DZire. The prices of Maruti Suzuki DZire start at Rs. 4.92 lakh and go up to Rs. 7.50 lakh. While the DZire offers a single automatic transmission variant, Honda Amaze has two such models. The diesel-powered DZire gets a 1.3 litre Multijet engine which generates 74 bhp, as against the Amaze's larger 1.5 litre oil burner which produces a maximum power of 99 bhp. On the other hand, the 1.2 litre petrol motor produces 86 bhp, against 87 bhp of the Amaze. This sets a whole new benchmark in the entry level sedan segment, as a result of which the Indian customer will surely be the ultimate winner.